Want to sell more beverages in bars and restaurants? Just launched for online ordering, coasters are here to help share your marketing message. Circles, squares, and custom shapes – spread them around with a fabulous design and they’ll do the work for you! Don’t wait around – they’re only on sale this month! Use this code to save 10% up to $100! 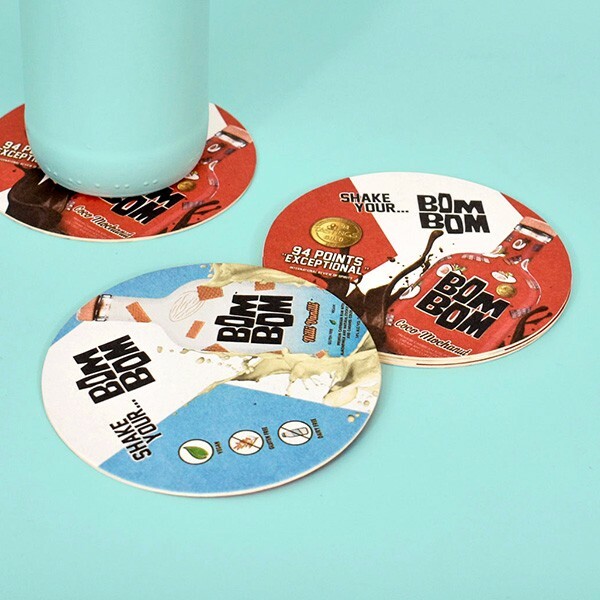 We had a lot of fun designing marketing pieces for BOM BOM Brands’ uniquely flavored rums, including these coasters! First in Print = Bottle Neckers. But did you know we print many other Point of Sale and marketing pieces too? Check out our product line! Now’s the time to print your holiday marketing campaigns! 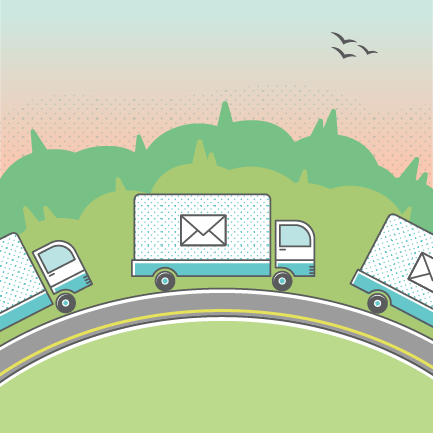 Learn more about our Turnaround Times to plan ahead and avoid the rush. 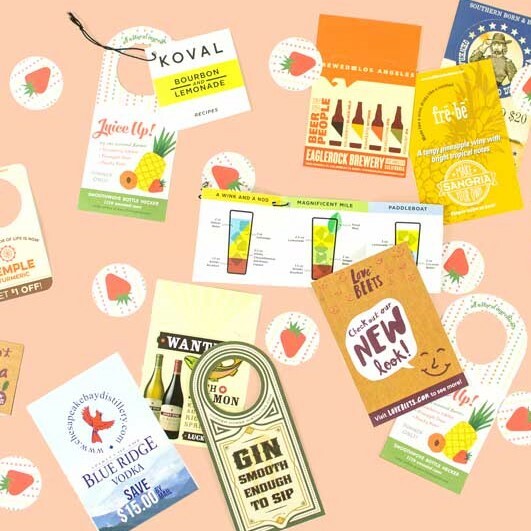 Case Cards are another impactful way to draw attention in the store. 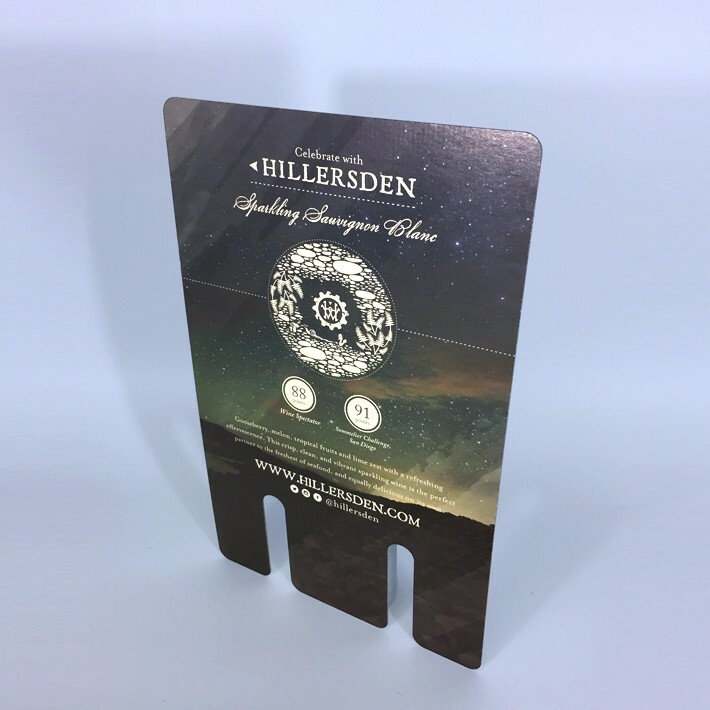 Take a look at Hillersden Wines’ beautiful Case Card design!